Fellow Svengoolie SvenPals and aficionados of Universal Studios’ “creature” film trilogy will be interested in an upcoming showcase of the third and final “creature” feature. 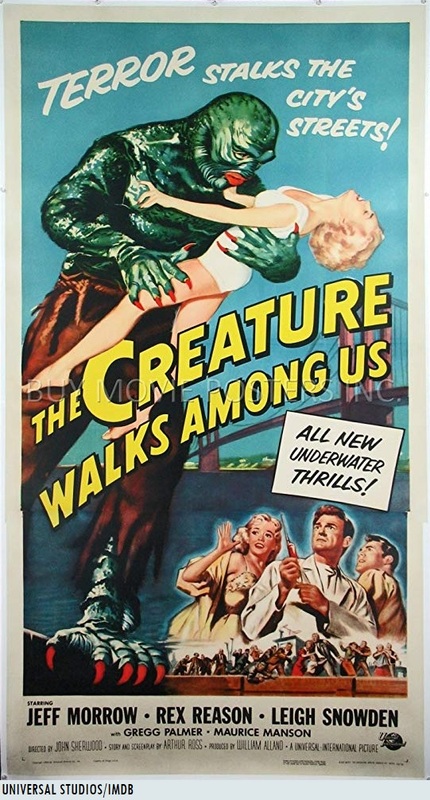 The legendary Berwyn/Chicago-based creature/monster film host will present the finale in Universal’s “creature” trilogy, “The Creature Walks Among Us” (1956); this Sat., Sept. 29 at 8 p.m. Eastern/7 p.m. Central on Me-TV. “The Creature Walks Among Us” (1956) was directed by John Sherwood, who also directed another Universal monster thriller, “The Monolith Monsters” (1957). One year before working on “The Creature Walks Among Us” (1956), Sherwood directed the Universal romantic western; “Raw Edge” (1955, with Rory Calhoun and Yvonne De Carlo, later of TV’s “The Munsters” fame). For most of his career, Sherwood worked as an assistant/second unit director on many features. Sherwood died in 1959, shortly after serving an uncredited position as a second unit director for the Universal comedy “Pillow Talk” (1959, directed by Michael Gordon; with Doris Day, Rock Hudson and Tony Randall; according to IMDB). This will mark Sven’s fifth broadcast of “The Creature Walks Among Us” (1956) on Me-TV. He previously showcased the Universal “creature” trilogy finale back in Aug. 2012*, April 2013, July 2014 and July 2015.
Who was in “The Creature Walks Among Us” (1956)? 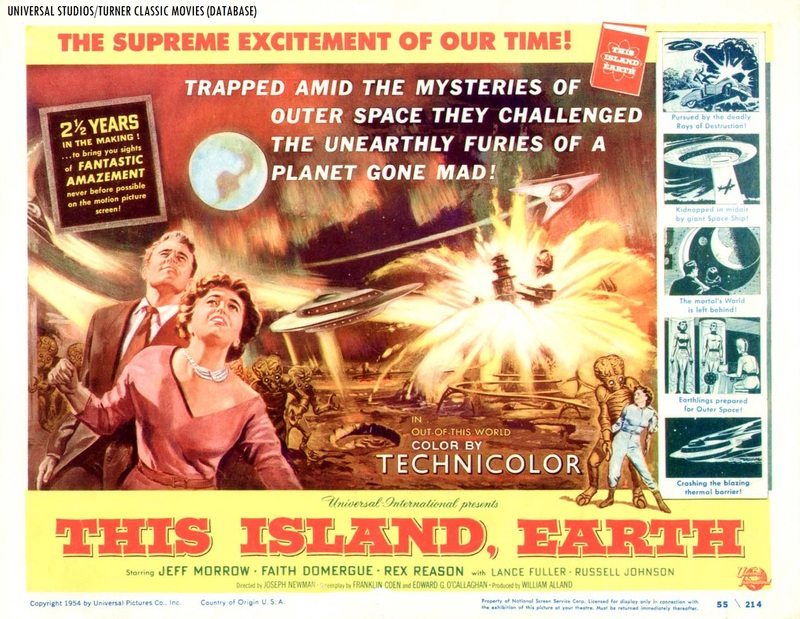 The players who appeared in the third and final feature in Universal’s “creature” trilogy were Jeff Morrow (as Dr. William Barton), Leigh Snowden (as Marcia Barton), Rex Reason (as Dr. Thomas Morgan), Ricou Browning (in an uncredited role as the creature for underwater sequences), Don Megowan (in an uncredited role as the creature for land sequences), Gregg Palmer (as Jed Grant), Maurice Manson (as Dr. Borg), James Rawley (as Dr. Johnson), David McMahon (as Captain Stanley)**, Paul Fierro (as Morteno), Lillian Molieri (as Mrs. Morteno), Larry Hudson (as a state trooper) Frank Chase (as a steward) and George Sowards (in an uncredited role as a ranchhand).